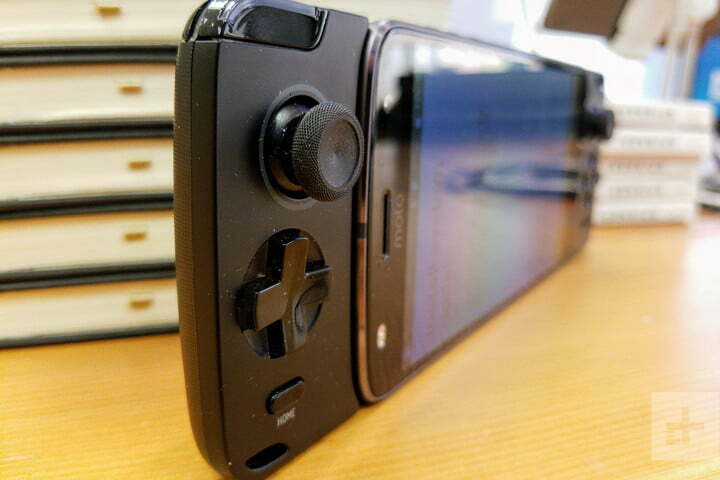 Smartphone gamepad accessories are often plagued with problems. Some pair with a flakey Bluetooth connection, and others feel excessively plasticky. 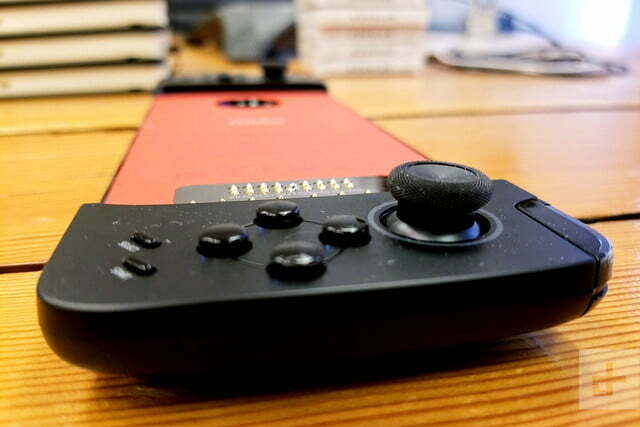 The Moto Gamepad, a modular accessory for Motorola’s Moto Z smartphone series, solves those problems with a dedicated data connection, high-quality housing, and a built-in battery that lasts eight hours on a charge. On paper, it seems like the ultimate gaming accessory, but how well does it hold up? 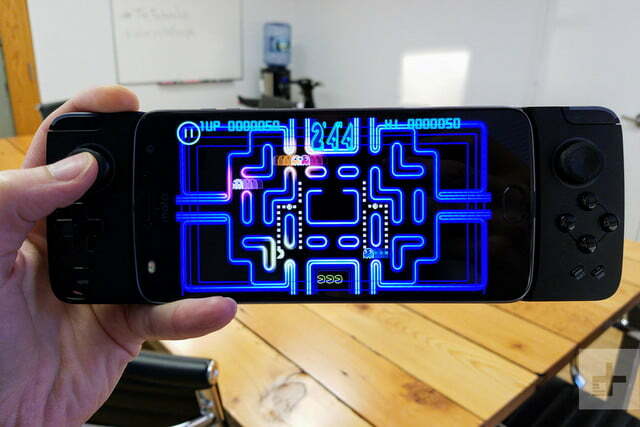 Motorola’s Moto Z phones are capable of connecting to Moto Mods. 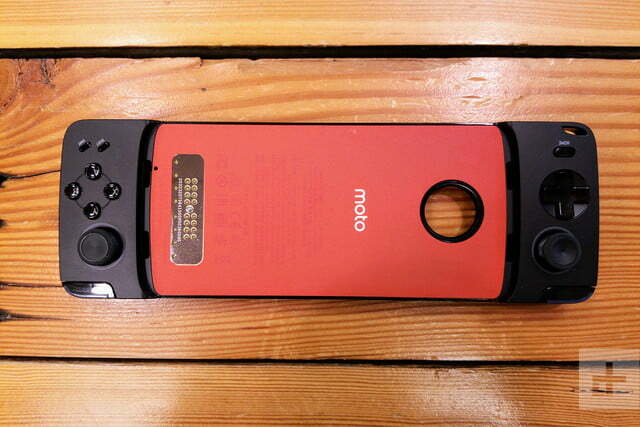 These Moto Mods easily snap onto the back of the phones via pogo pins and magnets. 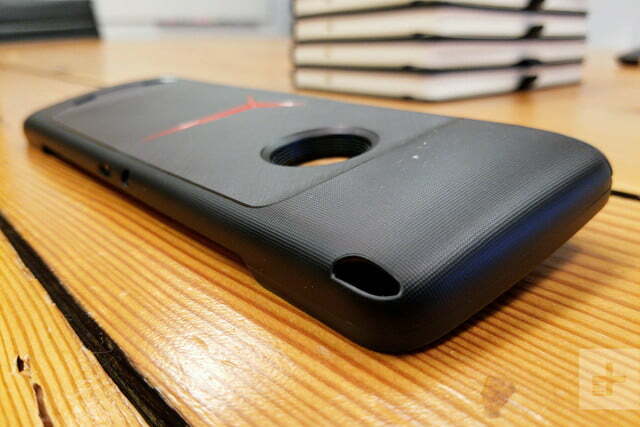 There have been numerous Moto Mods so far, ranging from battery mods that add more juice to your phone to a JBL speaker attachment that cranks up the noise when you need it. The Moto Mods work with the Moto Z2 Force, Moto Z Force, Moto Z2 Play, and Moto Z Play. 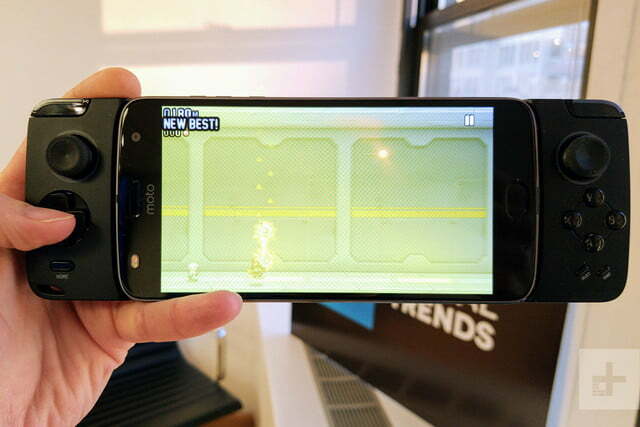 In our review, we used a Moto Z2 Force with the Moto Gamepad. 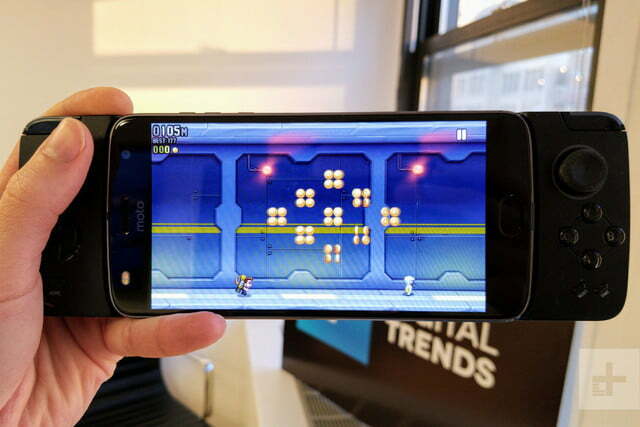 Unlike clip-on gamepads, which take a good deal of physical force to snap in place, the Gamepad connects magnetically to pins on the back of a Moto Z2 Force. Unpairing is as simple as prying the phone free of the connector’s magnetic field. We were concerned the magnets wouldn’t be strong enough to hold up to more spirited gaming sessions, but the GamePad grabbed hold of our Moto Z2 Force and never let go. 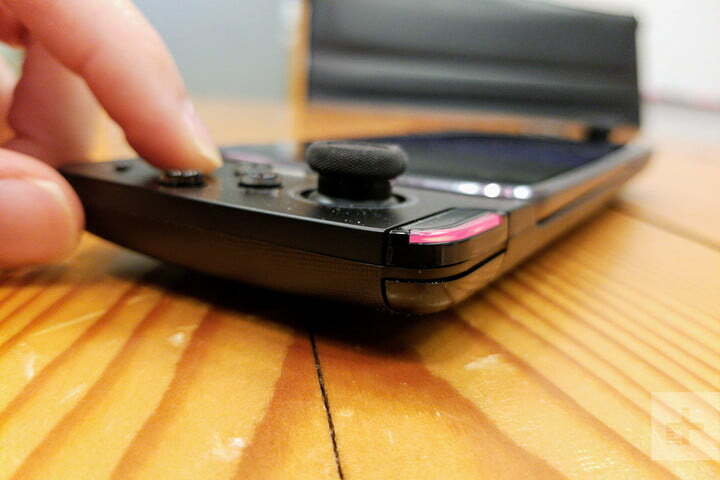 Even holding the phone upside down wasn’t enough to dislodge it from the controller’s vice-like grip. 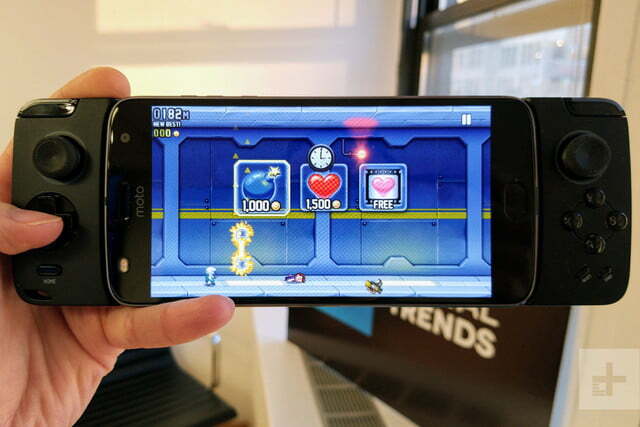 The Moto Gamepad looks and feels every bit its $80 price tag. The ergonomic right and left shoulders are easy to wrap your palms around, and the crosshatch texture lends grip to the otherwise smooth plastic. 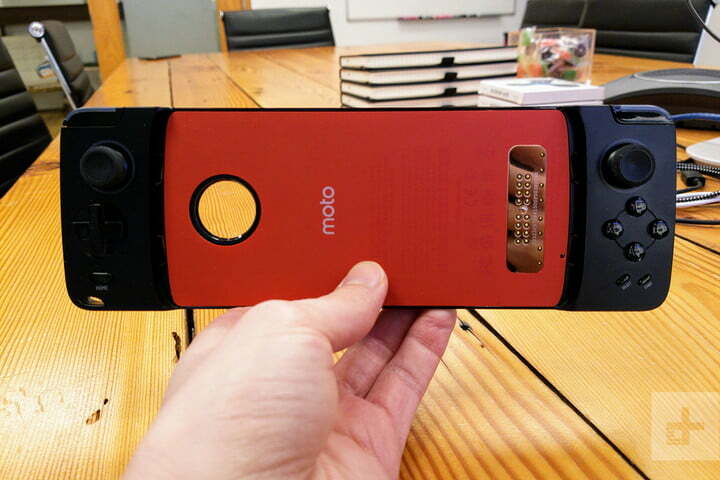 There’s a circular cutout for the Moto Z2 Force’s rear camera, a pass-through jack for 3.5mm audio, a lanyard loop, and a USB-C port on the bottom that charges the Gamepad and any phone paired to it. 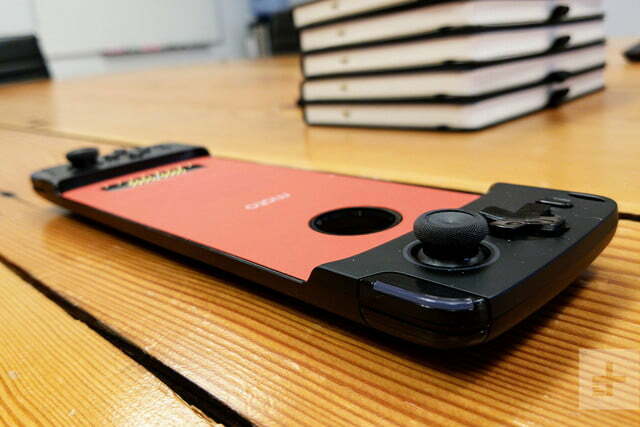 The D-Pad is stiffer than we’d like. How does it feel? The four action buttons on the right-hand side are satisfyingly springy, and the textured joysticks are move fluidly and they’re responsive. It doesn’t take much to move them in any direction, and there’s a satisfying click when you press down on them with force. It’s not all good news, though. The D-Pad is stiffer than we’d like, and the home, select, and start buttons are too small and difficult to quickly press. Worse are the shoulder buttons. The right and left bumpers, which measure the width of an index finger, are separated by a millimeters-thin edge that make it difficult to tap one without accidentally tapping the other. It’s especially problematic in shooters like Shadowgun, where quick trigger movements are key. We never had trouble finding said triggers, though. A transparent strip of plastic on the right and left bumper house LEDs that correspond to button presses. When you tap an action button on the Gamepad’s right side, the right shoulder button’s LED lights up (and vice versa). It’s a nice touch, but the lights can be distracting in dark rooms, and there’s no way to disable them. 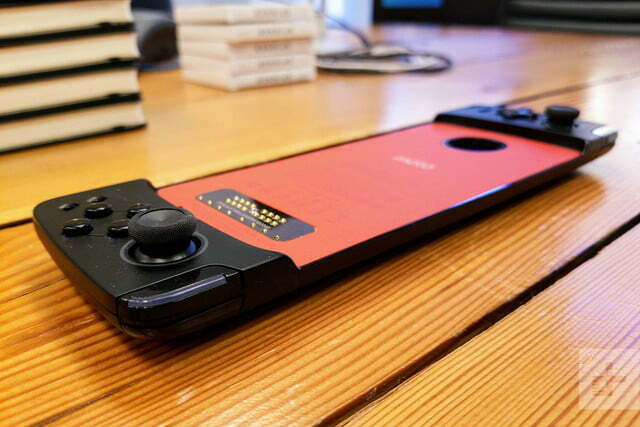 Our biggest gripe with the Gamepad is its size. At almost nine inches long and one inch thick, it’s not the easiest thing to stuff in a bookbag, and the buttons aren’t built to withstand much abuse. Ideally, we would’ve liked to see see Lenovo take a page from the Nintendo Switch and make the right and left sides detachable. The Gamepad works in tandem with a companion app — the Moto Game Explorer — but it’s nothing to write home about. It’s a bare bones digital storefront that lists games by genre, and you can use a dropdown menu of genre filters (like Action, Arcade, and Casual) to help narrow the selection. Annoyingly, it’s impossible to install games from the this storefront as it merely acts as a link to the Google Play Store. Moto Game Explorer can be helpful to quickly find Gamepad-optimized games, but the app’s disclaimer warns that not all titles are fully compatible, which seems to defeat its purpose. That’s about the extent of the Gamepad’s software integration. There’s a persistent notification that shows the Gamepad’s remaining battery, and a basic options menu (Settings > Moto Mods > About this Moto Mod) that lets you manually restart and update the Gamepad, but that’s it. In most apps, settings menus, and the home screen, the Gamepad’s triggers and D-Pad act as navigation keys, highlighting shortcuts and widgets on the home screen. Tapping the A button on a highlighted item selects it, and tapping the B button takes you back a step. 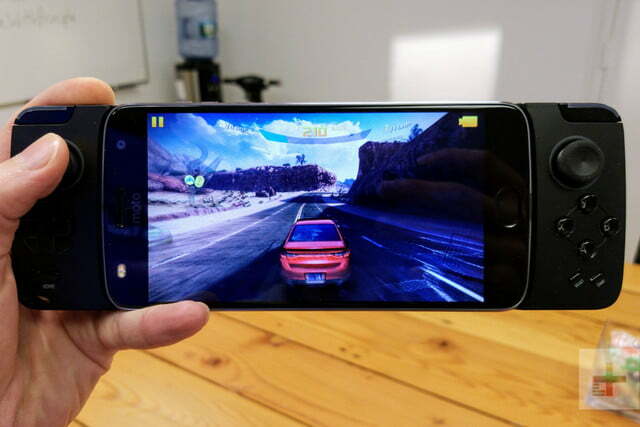 For games, titles that implement Android’s controller API properly, like Gameloft’s competitive racer Asphalt 8, work flawlessly. In our testing, the on-screen button prompts matched the controller’s labels swiftly. 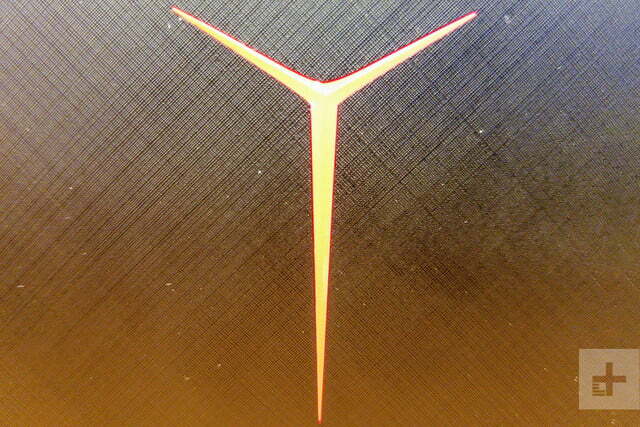 The B button mapped to our spiffy car’s emergency brake, the right trigger to the accelerator, and so on. Other games require a bit of finagling. In Shadowgun: DeadZone, we had to dive into the settings menu and assign each of the Gamepad’s buttons manually, and the navigation buttons (Home, Select, and Start) didn’t always bring up the menus we expected. Some games are only halfway compatible. In Pac-Man CE DX TV, some the menu screens didn’t respond to button presses, but the game stages themselves worked just fine with the triggers and D-Pad. Across all categories of games, the Gamepad delivered on the promise of low-latency. 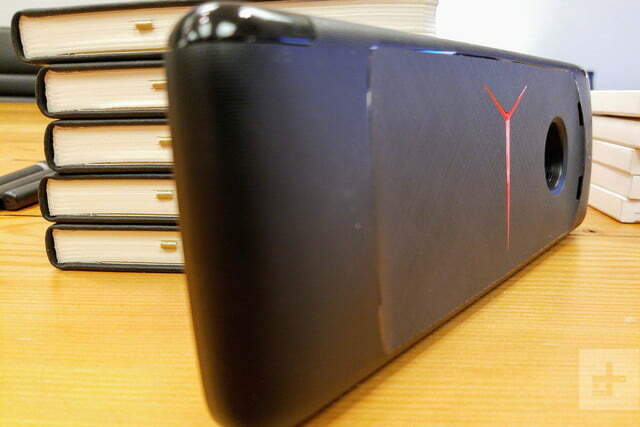 We were especially impressed by the triggers’ responsiveness in Asphalt and Shadowgun, where inputs seemed instantaneous. The battery life didn’t disappoint either. Motorola pegs the 1,035mAh capacity of the Gamepad at providing eight hours on a single charge, but we easily exceeded that in our testing. A day of casual gaming drained the controller to 20 percent, at which point our test phone ran out of juice. The Moto Gamepad is a good controller. The low-latency connection performs as advertised, and the build quality is, for the most part, a cut above the rest. But lack of proper software integration and customization make it a tough sell at its $80 price point, especially considering alternatives like the Moga Hero Power start as low as $25. What’s worse is the Gamepad only works on the Moto Z smartphone series. 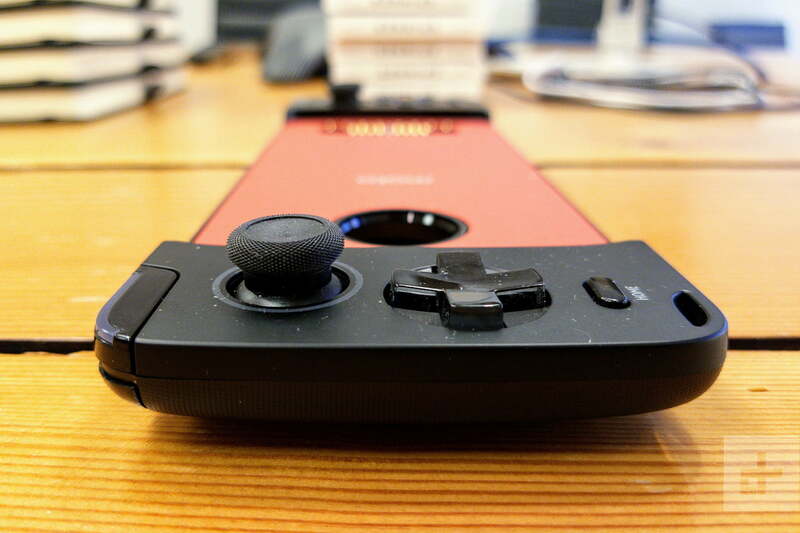 Other controllers work on a myriad of devices, but by buying the Gamepad, you will either have to keep purchasing Moto Z phones until Motorola stops using the same design, or just shell out for another gamepad when you’re through with the phone. 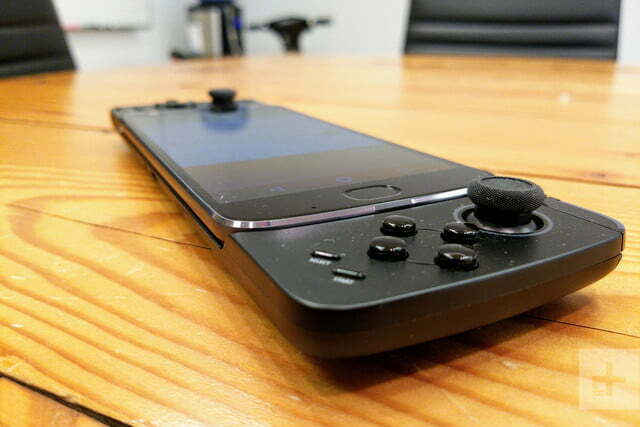 The Gamepad is exclusive to Verizon. 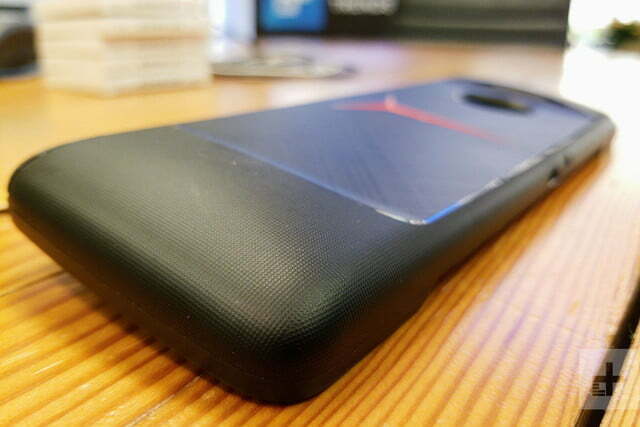 If you want it, you’ll have to nab it from Verizon’s online store or one of its brick-and-mortar locations. Here’s the takeaway: You’re likely better off with a cheaper controller. Sure, it won’t have the lowest latency connection, but it’ll perform well enough to get the job done. For most smartphone games, that’s really all you need.